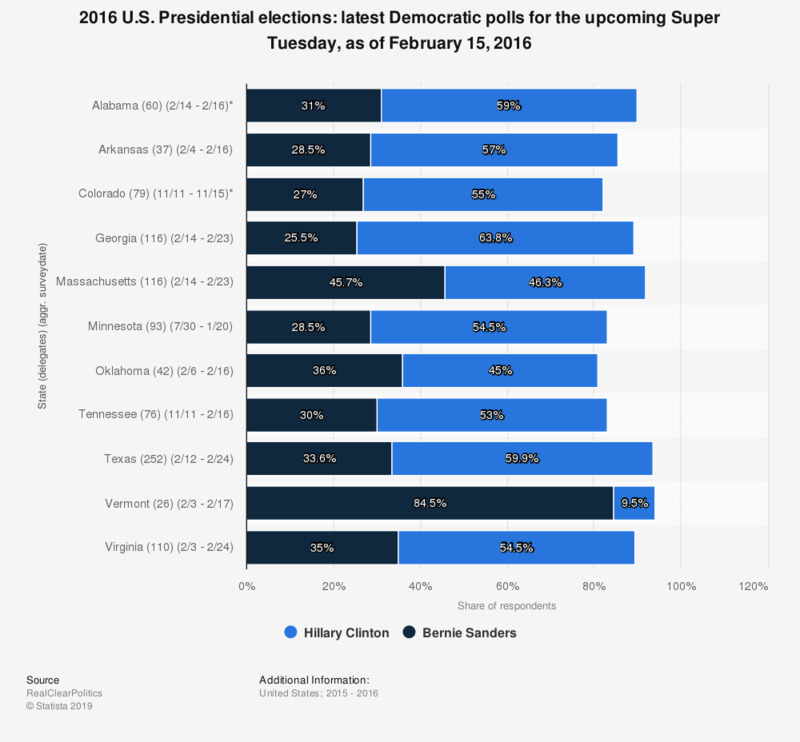 This statistic shows the latest Democratic polls on the caucuses and primaries that are to be held in 11 states across the nation on March 1, 2016. As of February 26, 2016, Hillary Clinton led the Texas polls with about 60 percent of voter support. * single poll, no average available.